Our range of products include bandsaw machine maintenance service. Due to our patron-focused approach, we are offering Bandsaw Machine Maintenance Service. We always have the focus toward the client’s detail. In addition to this, the offered array of maintenance services is rendered within the limited period of time at pocket-friendly rates. 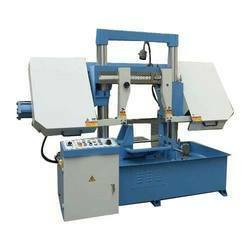 Looking for Bandsaw Machine Maintenance Service ?